We like in an era where security has become more important than ever. As technology increases, we rely more and more on cyber data. This is great for eliminating paper waste and simplifying the office, but it also can leave you vulnerable to data being stolen. When it comes to protecting your data, protecting your copier is a key component. ly. It also saves a copy of every image that is sent through your copier. This can help with document management, but can also leave information available to anyone know may gain access. Copiers are always going to be part of your office environment. While we cannot escape the need for high quality printing and copying, we can protect the machines we use. Companies like Xerox understand the potential risk and offer security packages to help protect you and your data. Security kits for copiers are often extremely cheap in comparison to the money people spend every day on network security. 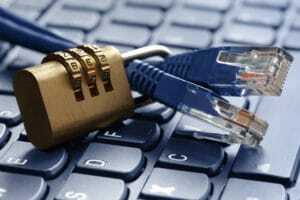 Network security cannot protect you from someone accessing your copier’s hard drive. This is why it is so important to consider protecting your data if you work in an environment where you have intimate information on any number of topics. For help protecting your copier call Albuquerque Copier today! We can make sure that your copier efficient, and safe for a great price!